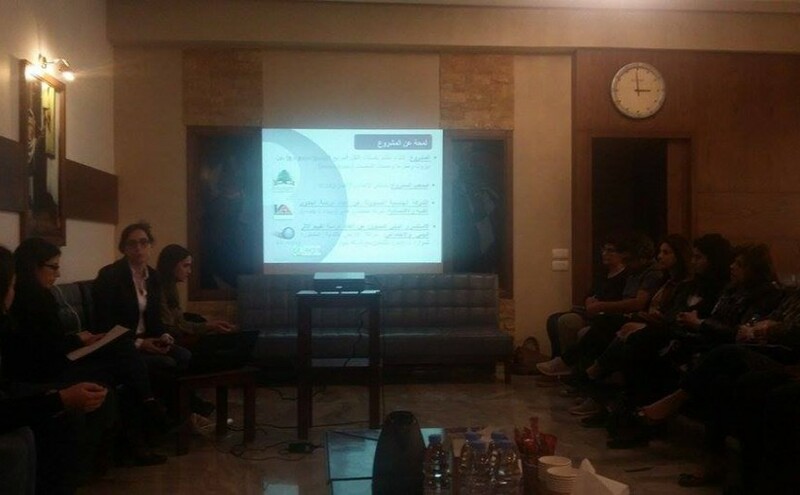 On the 28th of March, ELARD hosted its second focus group for the general public, this time at Haret Sakher, at the Saydet Al Maounet Church. The majority of attendants were youth from a scouting group, with a few women also connected to the organization also in attendance. Overall, around 20 people took part in the discussion, which touched on several points already heard in previous gatherings, while bringing particular aspects into sharper focus. The overall discussion took on a for/against vibe, as though the BRT project was being put up for a vote. This atmosphere was productive, however, as it sparked critical conversations that are important at this stage of the Impact Assessment. One middle-aged woman raised a very interesting point about the whole process. She wanted more details about the design (numbers of buses, etc. ), and inquired about the follow-up process (like receiving the final report that ELARD is preparing), insisting on her right to information. 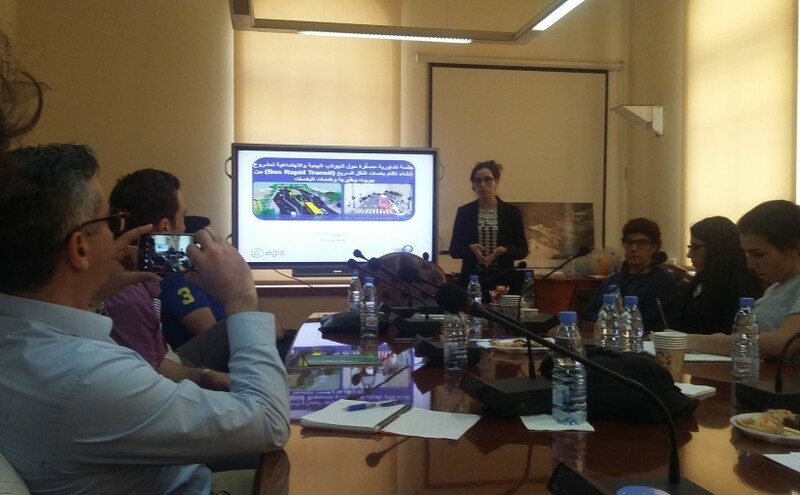 The team assured her that she would be able to request a copy from the government, thanks to the recently ratified transparency law (“2anoon el-shafafiyeh”). As in the previous focus group meeting in the Matn region, concerns were raised over the narrowing of the highway. One person worried about the project failing (due to lack of ridership) after the investment and road changes have already been made, leaving a “useless” lane in the middle of the highway. Others raised more specific concerns about the project design. One young man wondered whether 28 stops would translate to 28 minutes of stopping time, which he thought would mean too slow a journey, which he would prefer to cover by car. It would be interesting to see whether his calculation is accurate, since the BRT system uses prepaid boarding precisely for this reason: to shave off seconds at every stop. But more broadly than this, it would seem that a major challenge for encouraging people to make the switch from car travel to public transport is to — somehow — convince more people that public transport produces more value than just time. Even if the bus takes 30 minutes longer than it “should,” in comparison to single-occupant travel (because it has to “stop for other people”), this journey time is socially valuable. To expect buses to compete with cars at the level of Point A to Point B convenience for the individual user — others be damned — is simply ideological. Public transport is social. It cannot be tailored to individual whim, alone. Having said that, it is interesting to test out the assumed efficiency of car travel given the amount of traffic all modes have to face today. This week, one of our team members left Hamra at exactly 5 o’clock, in the direction of Fanar, for two consecutive days. On the first day, he took the Number 5/8, which was especially packed with passengers at that time. This route tends to be seen as circuitous, as the bus has to “stop for others” from Hamra, through Basta, Sassine, Bourj Hammoud, Jdeideh, etc., all the way to Ain Saadeh. Due to peak traffic, this trip took 2 hours. The next day, this exact same trip was done by car, taking a “more direct” route (Hamra, DT, Ashrafieh, Dekweneh, Fanar). Due to peak traffic, taking the car only saved 15 minutes. The point here is not that the bus will always match the car; it’s that traffic needs to be reduced before any mode can be called “efficient,” and the main cause of congestion is the personal car. Any comparison of journey time between the two modes must take this basic fact into account. Another noteworthy theme in this focus group was the relatively high number of participants who wondered why the existing system isn’t improved. One young man asked why the state is investing in new routes if the work to better integrate existing routes isn’t already done: “If I have to buy three tickets, what will the overall cost be for me then? It might mean 8000LL each way overall, making it less affordable than paying to fill up my car.” He suggested that existing buses can also be upgraded and cleaned. Another young woman also worried about the total journey, since the BRT system only takes into consideration the coastal highway, though many people need a way to reach the highway from the surrounding hills (as we pointed out in the Matn discussion). Another young man who rides buses also thought that improving the existing system was a good idea, but he suggested that no infrastructural upgrades would be enough, as the main reason that people don’t take the bus is psychosocial: “people don’t ride because they don’t want to be with certain people,” he said. The way he said this seemed to imply that he was referring to “newcomers” like Syrian refugees, but when he was pressed to reflect on why those people didn’t take the the bus before the Syrian crisis, the moderator steered the discussion elsewhere. We believe that opening up this thorny discussion is critical for project success, however: class disgust is an invisible barrier to increased ridership, and even if more mixing is achieved, there is no guarantee that social harmony will automatically emerge through propinquity. It’s issues like these that are often defined and pushed to one side as matters of “awareness,” as though technical solutions can really “fix” anything if the social conditions for their proper implementation are not addressed throughout the whole project design. For example, a solar-powered water pump will not be maintained by a village if people would rather hook up their televisions and computers to the grid, and keep sourcing water from their wells by hand, no matter how “efficient” the system is deemed by designers. In other words, things will only work as well as their users want them to, and designing for the wrong needs will only ensure project failure. We hope this assessment process can make this clear to the CDR, as we do not want to see this project fail.